Mumbai: Despite making a promise of withdrawing cases against protesters allegedly involved in Bhima-Koregaon violence, Maratha Morcha and other political cases, the government is not going to take any decision until election gets over. Anti-caste leaders involved in the Bhima Koregaon protests said this sudden action, just months before national elections, was politically motivated and meant only to harass them. 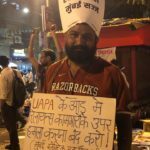 All the activists arrested in the Bhima Koregaon case are left-leaning lawyers, academics and organic intellectuals who are extremely popular among the Dalit-Bahujan communities in Maharashtra and also in other states, because of the stellar work they have been doing over the years. The two sets of arrests — on June 6, 2018 and on August 28, 2018 — were based on one FIR filed on January 8, 2018. 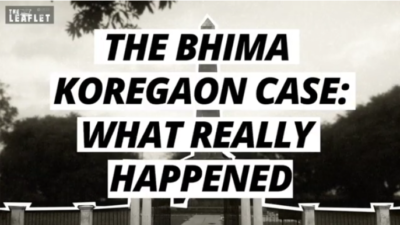 What led to the arrests of activists in the Bhima-Koregaon case? 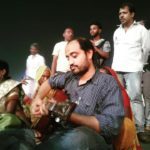 What was Elgar Parishad celebrating on December 31, 2017? 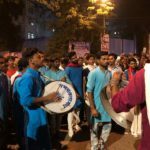 What happened on January 1, 1818 and why is the Battle of Bhima-Koregaon so significant for the Dalit and Bahujan communities? The Leaflet brings you an in-depth peek into one of the defining legal-political cases of contemporary India. Defying unprecedented attacks on them last year and expectations of a low turnout this year, around 20 lakh Ambedkarites paid their respects at a memorial pillar at Bhima Koregaon near Pune on Tuesday. An activist has presented proof of what she claims is Hindutva leader Sambhaji Bhide’s complicity in the violence at Bhima Koregaon on January 1 this year to the panel probing the incident. The commission, led by former Calcutta High Court chief justice JN Patel and state Chief Information Commissioner Sumit Mullick, resumed hearings in the matter in Mumbai on Monday. 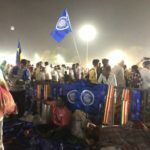 Ahead of the first anniversary of the Bhima-Koregaon riots, Ambedkarities from across the State gathered in Shivaji Park on Thursday and criticised the government for arrests of the activists and demanded that an end be put to dirty politics to divide the country. 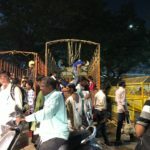 On 5th and 6th December 2018, Mumbai Rises to Save Democracy did campaigns at various spots inside Shivaji Park on the occasion of Mahaparinirvan Diwas (Memorial day). Our campaign was focused on the facts that despite attacks on Dalits in Bhima Koregaon on January 1, 2018, Hindutva leaders Manohar Bhide and Milind Ekbote roam scot-free. 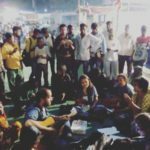 However, several human rights activists and workers from what was previously known as Reliance electric union, remain arrested for several months. The police filed the case after viewing a video Scroll.in had recorded of a violent mob burning down a woman’s eatery on January 2.